1. How and when did you first get involved with Wilden and what is your role? I’m proud to have been working on the Wilden Team since 2014. I work with Consultants, Planners, Approving Authorities, Engineers, Contractors, Home Builders and Home Owners to grow and serve the Community. 2. 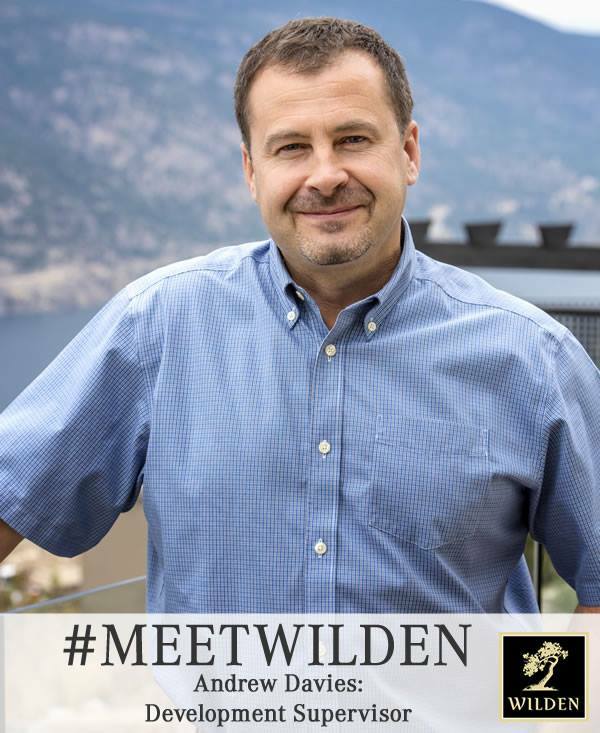 What are some of your favourite things about working for Wilden?Some of my favourite things here at Wilden are being around great people and also the satisfaction of knowing the beautiful neighbourhoods we’re creating will be enjoyed by generations of families. 3. What is your secret super power? Finding a needle in the haystack. 4. What are some of your favourite ways to relax and play in the Okanagan? Some of my favourite ways to relax and play include hiking the Kelowna hillsides with my family, absorbing the summer heat with a beverage in hand, hanging out on a beach and swimming in the lake and cycling around town. 5. If you were to build your dream house in Wilden, what are some must-haves you would include? Comfortable outdoor living space, ample widows & a healthy garage with dedicated storage space for active living ‘tools’. 6. What is one thing people would be surprised to know about you? I was born in Zimbabwe. 7. What is Kelowna’s best kept secret? Kelowna’s local farms with their diverse produce. 8. What is your favourite locally made product? 9. If you could give $1M to charity, which one would you choose? A personal development with mentorship program charity. 10. If you weren’t living in the beautiful Okanagan, where else would you live? « Wildlife fact by Flora McLeod – Where do all the turtles go during winter time?